We used to sail a little dinghy on Ullswater, keeping it on the shore in a friendly [and cheap] field on the northern shore. It was a Cornish Coble which was roomy and safe, and had a pretty gaff rig with tan sails. All very picturesque. We would have liked to keep it at the Ullswater Yacht Club but, in a bizarre twist of the rules, it wasn’t one of the “approved” sailing boats allowed by the National Park Authority. Apparently. So if you sailed a normal boat – Topper, Laser etc., or a yacht – that could race then you were OK, but we were deemed unsuitable. Interestingly, the UYC website has a section for leisure sailing, which is completely blank. Cut-throat racing or nothing it seems. 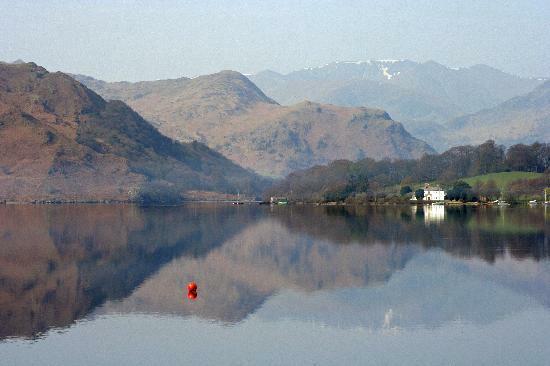 Sailing around this beautiful lake took you within sight of the Sharrow Bay, situated on the edge of the lake. An unfulfilled dream was to moor in the bay and go ashore for lunch. The practicalities of mooring and then getting ashore didn’t figure – were we going to swim? As far as preservation goes, English Heritage couldn’t have done a better job. It’s astonishing: nothing has changed, down to the last frilly loo roll cover, nightmarish ‘70s electric coal-effect fire (there are no open ones), stiff, garish flower arrangement and brightly coloured porcelain ornament plus Coulson’s sickly bedtime poem (and even more sickly, but famous Icky Sticky Toffee Pudding). The whole hotel, and especially separate Bank House, is a marvellous, mind-blowing trip back in time and in particular to the taste and sensibilities of two professional, charming and much loved gay gentlemen. It still had its Michelin star when we stayed [it lost it after 15 years in 2012] and was memorable for its food [excellent] and setting [wow], but the room decor… We’ve never seen a room where the wallpaper is so flowery and also has a fabric pelmet all round the room in the same print, and matching lampshades, and the loo roll cover, and the little decanter of sherry…modern minimilism it ain’t. Importantly though, it was an institution and paved the way for country house hotels that have sprung up across the length and breadth of Britain. Beware though, B&B is the way forward in the new egalitarian country we live in. Mind you, egalitarian? …in your dreams. So finally, the STP? In our new recognition of the culinary importance of Sticky Toffee Pudding to the nation and our recently introduced scoring, we’ll have to make a return trip. Hotel Sharrow Bay. Again, great setting and very, very nearly in the Top Ten Settings. Very nearly. STP Score: Not yet scored, but we’re expecting 10/10 obvs. View from the terrace…Top Ten? 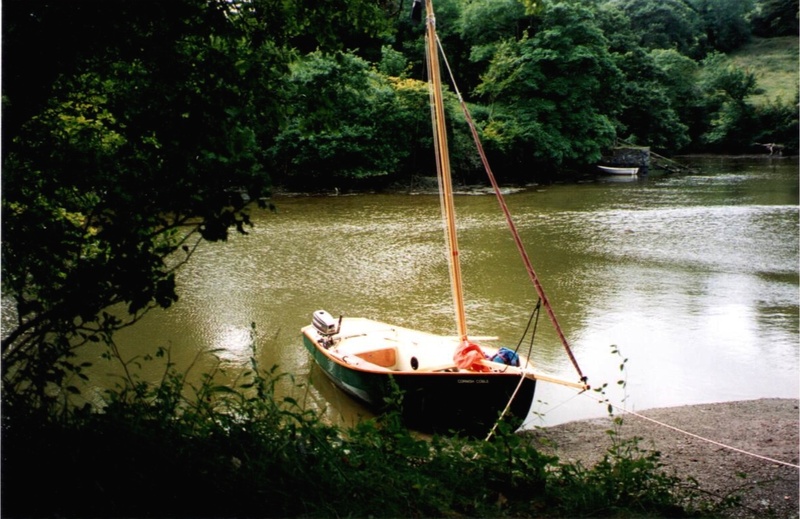 Our Cornish Coble…how could they refuse it?